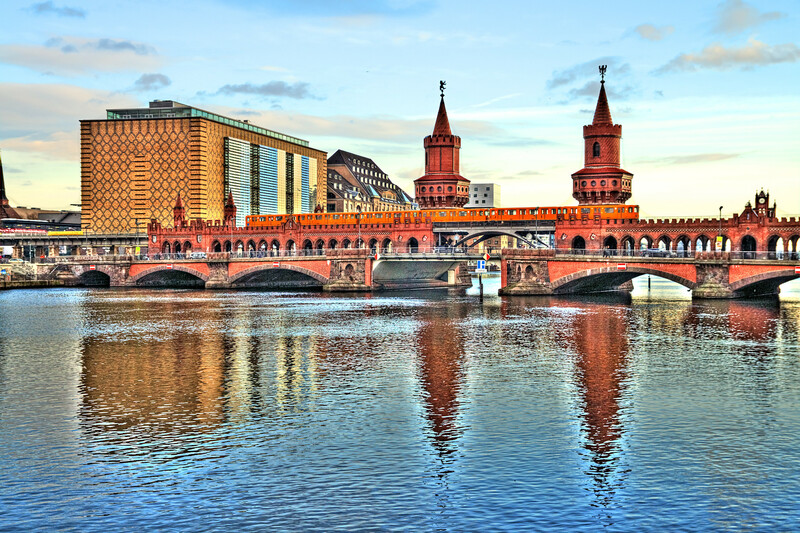 My first shot of Berlin’s Oberbaumbrücke, which crosses the Spree between the West and East part of the city. It was heavily damaged during WWII and subsequently somewhat repaired, but basically cut in half in 1961 when the Berlin Wall was built. After the reunification it was elaborately restored – the towers, which are now the most recognizeable part of the the bridge, are actually a reconstruction. It’s open for car and pedestrian traffic and as you can see the U-Bahn also drives over it once again.